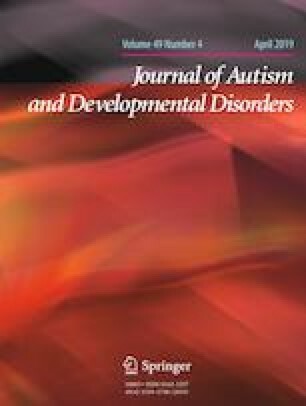 We investigated the feasibility of our novel evaluation system for use with children with autism spectrum disorders (ASD). We prepared the experimental setting with two humanoid robots in reference to the birthday party scene in the Autism Diagnostic Observational Schedule (ADOS). We assessed the relationship between social communication ability measured in the ADOS condition (i.e., with a human clinician) and in a robotic condition for children with ASD. There were significant correlations between the social communication scores in the gold-standard ADOS condition and the robotic condition for children with ASD. The current work provides support for a unique application of a robotic system (i.e., two robot-mediated interaction) to evaluate the severity of autistic traits for children with ASD. The online version of this article ( https://doi.org/10.1007/s10803-018-3848-7) contains supplementary material, which is available to authorized users. We have no financial relationships to disclose. The authors gratefully acknowledge the contribution of the participants. HK designed the study, conducted the experiment, performed the statistical analyses, analyzed and interpreted the data, and drafted the manuscript. TM, YuiY, YukY, TI, CH, DNS, JS, HI, MM and MK conceived the study, participated in its design, assisted with the data collection and scoring of the behavioral measures, analyzed and interpreted the data, were involved in drafting the manuscript and revised the manuscript critically for important intellectual content. MK was involved in the final approval of the version to be published. All authors read and approved the final manuscript. Funding was provided by Grants-in-Aid for Scientific Research from the Japan Society for the Promotion of Science (Grant No. 18H02746), ERATO ISHIGURO Symbiotic Human-Robot Interaction Project and the Center of Innovation Program from the Japan Science and Technology Agency, JST, Japan. Yuichiro Yoshikawa and Hiroshi Ishiguro serve as consultants of Vstone Co. Ltd. Hiroshi Ishiguro owns stock in the same company. All procedures involving human participants were conducted in accordance with the ethical standards of the institutional and/or national research committee and with the 1964 Helsinki Declaration and its later amendments or comparable ethical standards. Participants were recruited from Kanazawa University Hospital and related institutions. After a complete explanation of the study, all the participants and their parents provided written, informed consent. All participants and their parents agreed to participate in the study. Shimaya, J., et al. (2016). Advantages of indirect conversation via a desktop humanoid robot: Case study on daily life guidance for adolescents with autism spectrum disorders. 831–836 https://doi.org/10.1109/roman.2016.7745215.